POLAND. 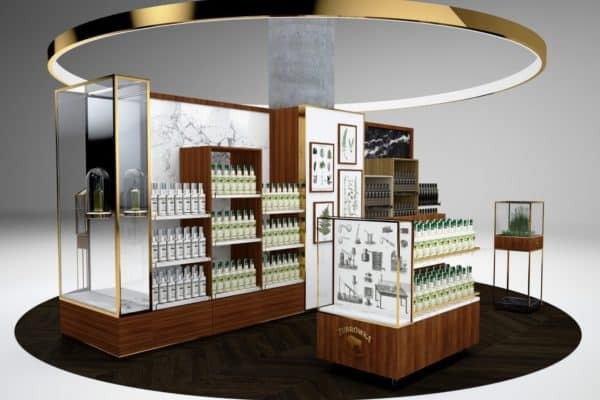 A studio-designed retail zone for Żubrówka, the Polish vodka flavoured with wild-grown bison grass, will open next month in the new Baltona Duty Free store at Warsaw Chopin Airport. The stand, designed by Studio Otwarte and covering several dozen square metres, will feature natural materials including wood, stone and bison grass. It will include a “living ecosystem” to represent Zubrokwka’s origins in the primeval Białowieża forest. The “Żubrówka zone” will stock all major varieties of the vodka, including the clear Żubrówka Biala and the super-premium Żubrówka Czarna. Żubrówka is produced by CEDC, the largest integrated alcoholic drinks company in Central and Eastern Europe. The zone will open in the second half of January 2019.